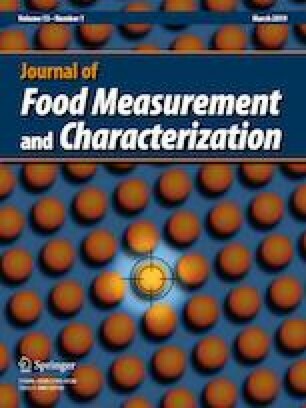 This study highlights a simplified extraction and method development of Ultra High-Performance Liquid Chromatography for simultaneous determination of vitamin D and K in selected processed food products. Simultaneous analysis of vitamin D and K was achieved via gradient elution of methanol with ultra-pure water (95:5–100:0–95:5), at programmed flow rate of (1.0–0.2–1.0 mL/min) for left pump and constant 1 mL/min for right pump within 25 min on HPLC Dionex Ultimate 3000 Series system using two Dionex Acclaim Polar Advantage II C18 columns at 30 °C and acquisition wavelength of 265 nm. The limits of detection and quantification ranged between 0.05 and 0.12 µg/mL and 0.16–0.41 µg/mL; for both vitamins. The method showed good linearity (R2: 0.996–0.999) and high accuracy (85.35–106.36%) for both vitamin D and K. Recovery above 70% was achieved for vitamin D, whereas lower recovery of 60–70% was obtained for vitamin K. The proposed analytical and extraction procedure was advantageous for sample purification and improved detection of trace vitamin levels from selected cereal and flour products. The authors wish to thank the Director General of Health Malaysia and the Director of Institute for Medical Research (IMR) for granting the permission to publish this study. We would also like to express our gratitude to the staff of Nutrition Unit for their valuable support. This project was funded by a grant from the Ministry of Health Research Grant.